You are here: Home / LSAT Prep / LSAT Cancellations, Withdrawals, and Absences: What’s the Difference? With the LSAT just around the corner, you may be taking a look at how your prep is going and thinking that you are simply not ready for the test. There’s no shame in this; in fact, knowing when you are or are not ready for the LSAT shows a great deal of self-awareness and respect for your law school application. LSAC allows you to withdraw your LSAT registration right up until midnight on the day before the test with no adverse consequences other than the loss of your registration fee. The withdrawal doesn’t even show up on your LSAT Score Report. So, if you’re not feeling like you’ll score your best on test day, know that you have right up until midnight of the night before to decide if you want to take it. Beginning the day after the test, you will be able to cancel your score on the LSAT Status page of your LSAC account. This option will be available to you until 11:50pm ET on the sixth day after your LSAT date. Be advised…if you miss the deadline, whatever score you get is going right on your record. And LSAC is a stickler about that deadline . If you miss it, they’re not going to let you cancel. There are a few more facts worth noting. Your law school report will reflect that your score was canceled at your request. You will not receive a score or a copy of your answer sheet. If you took a disclosed test, you will receive a copy of the test questions as well as the credited responses for the scored sections. I recently withdrew from taking the October 2012 LSAT and am taking it in December instead. Will that limit my chances of getting into my desired law schools or will I still have a good chance of being considered early? I was told that you can submit your applications to the various law schools without the LSAT score and that they would review them and withhold applications until LSAT score is released. Please let me know. Thank you. That’s a great question, Luis; it’s something many students wonder and worry about. Although the results of the December LSAT will be available in January, well in advance of law school application deadlines, it’s really not considered “early” as far as rolling admissions go. The answer to your question “will I still have a good chance of being considered early?” is, unfortunately, “not really.” To really get the “rolling admissions” boost, you need to aim to get your COMPLETED application submitted before the end of the year (“completed” meaning everything, including a valid LSAT score). 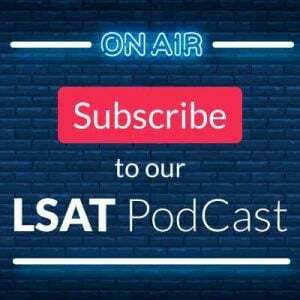 Taking the December LSAT will not necessarily limit your chances of getting into your desired law school, but you will not get the “early boost” that you’re looking for. 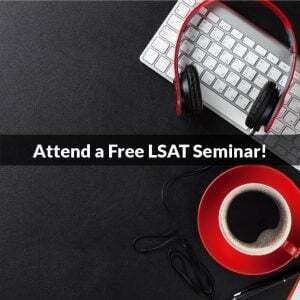 Regarding submitting your applications without an LSAT score–doing that is no problem. However, law schools WILL NOT review the application until it is complete (and “complete,” as I mentioned above, means with an LSAT score, along with everything else). What will happen is that schools will receive your application and request a Law School Report from LSAC before they review it; they won’t receive the Law School Report until you have a valid LSAT score on file. Once they receive a Law School Report for you, which won’t happen until after the December LSAT score are out, they will review your application, but not before. I hope that helps clear things up for you! Best of luck with the LSAT and your applications! I am registered to take the LSAT this December. However, I recognized that I am not yet prepared to take the exam. Seeing that it is past the due date to change my testing date. Is there a chance that canceling my grade will hurt my admission to law school, and am better off withdrawing from this test. Or is there no downside to taking the exam and canceling. If this would be the only cancellation/absence on your record, it’s no big deal. Things happen last-minute that can cause a student to cancel or miss the test, and schools know that. However, if you know ahead of time that you won’t make the test, it’s better, in my opinion, to withdraw–which doesn’t show up on your score report–rather than simply not show up and have an absence on your record. If you’re okay with having the single cancellation on your record, I would suggest taking the test and then cancelling your score. You’ve already spent the money on the registration fee (which you won’t get back if you withdraw); you might as well take advantage of it and get something for your money. If you have multiple absences or cancellations, then withdrawing is the best option, since schools see those multiple absences/cancellations and will likely start to have questions about your preparation, your ability to commit to things ahead of time or to handle lengthy timed tests, etc. I hope that helps! Best of luck! Since scores are no longer averaged and most schools only look at your highest score, is there really any downside to taking the test even when you are not 100% ready? Hi Brett – that’s a good question! Part of it depends on how close to 100% you are–is this a situation of “I have a good chance of getting my target score but with more time I’d feel more confident,” or “I’m extremely unprepared but curious about how I’ll do”? If the former then it’s often worth the risk to take it and see how it goes. For the latter, less so. In fact, I can think of two immediate downsides, and can envision a potential third, of taking it when you’re all but certain you’ll need to take it again. First, it’s not cheap to take the test. Now, granted, it’s not thousands of dollars, but in terms of money and time (even with zero time spent on prep) you’re out over $100 and you’ve likely killed at least a full day between registering, getting a photo made, and actually taking the thing. So it’s hardly cost-free to take it if you’re fairly sure the score won’t be useful. Second, there are limits on how many times you can take the LSAT in a given period, namely, three times in two years. So burning one of your attempts increases the pressure a bit on your next, more seriously sitting. For instance, say you take it in June “just to see what it’s like” (as people sometimes do), and then September rolls around and you’re feeling much better prepared…but you make a mistake in one of the sections like a bubbling error, or you just have an off day, or you’re sick. Suddenly you’re down to one more shot, after which you’ve got 18 or so months (potentially) before you’re allowed to take it again. The test is stressful enough without throwing away one of your available attempts. And third, albeit admittedly more debatable, is that putting a score on your permanent record that’s not representative of the kind of candidate you believe yourself to be is never going to be a *favorable* thing. Sure, schools may not pay much attention to that 142 if you eventually apply with a 160…but they’ll still see it. And they’ll wonder what happened, even if the 160 is the only real metric they’ll factor into their admit/deny decision. So try as I might I can’t come up with a desirable reason to showcase a lesser you. Take those first two as gospel, and the third as semi-established concern. Very helpful! Thank you, Jon! I need some advice! I took the past LSAT and i did horrible on the games. I was PT’ing around 157 to 160. However, that was with about 13 to 16 correct on the logic games section. During this test I was only able to successfully answer about one game all the way through and on the rest I basically guessed on. And not thought out guesses, like panic mode guesses. My question to you is should I wait for my score, or cancel in the next few days? I know most schools don’t average but I would truly like your advice! I also don’t know if my performance on LG may have affected me in other areas of the test as the rest of the test is kind if a blur as this is my first time taking the test! I am very disappointed in myself and would truly like some advice! Is it better to cancel my score or is it better to wait and see how I did this testing cycle and use it as a measurement?? Thanks for the question! The decision to keep or cancel is always difficult, so let me try to give you some different factors to consider. Hopefully that will help make your decision easier. First, the report that law schools see will show them all your LSAT scores, as well as an average score if you have taken the LSAT more than once. So, if you get a 150 this time and then a 160 next time, both those scores will appear as well as a 155, which is the average score. Years ago it used to be that law schools used the average almost exclusively, but a while back the ABA made a change that allowed the schools to start using the high score. And that’s now the default score that schools use. This is one reason that the prevailing advice is not to worry about low scores, because it just takes one high score to look good as an applicant. 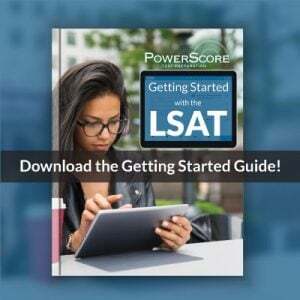 The following two articles both discuss the emphasis on the high score: http://blog.powerscore.com/lsat/should-you-retake-the-lsat-admissions-ex… and http://blog.powerscore.com/lsat/should-you-retake-the-lsat. So, a low score is not a big deal. Second, that said, there are a few things you mentioned that concern me about how you might have done on this past exam. It sounds like LG might really hurt your score compared to your usual performance. So, right away, you are looking to be under your normal 157-160 range. then, you mention panic-mode guessing, so you probably didn’t gain maybe as many points you could there. And finally, you mention things being a “blur,” and in my experience that often means the test got away from you. Test takers who get high scores usually have a great clarity about the experience–they can remember entire games and LR questions, foe example. In my experience, when test takers I’ve talked to can’t remember things clearly or it seems to go by so fast it was a blur often don’t do well. So, from your description, this probably wasn’t anywhere near your average. Is that a big deal? No, it isn’t as discussed in the paragraph above. But, the schools will see that score, and since it looks to be so far off your average and it’s only your first attempt, I’d probably cancel it. I can’t see a real benefit to keeping it unless there’s some crazy chance you actually did much better than you think. One thing to keep in mind: no matter what you do here, this past LSAT will count as one of your three takes under LSAC’s “maximum of three LSATs in any two-year period” policy. So, you’re still good and you have two more takes in reserve right now. This is just an fyi so you know about their policy. Ok, that’s what comes to mind right now. hopefully that helps a bit, and if you have any additional questions, please let me know. Thanks! I just took the LSAT today. Now, I only started “studying” 2 weeks ago (basically, I read the LG Bible). I took my first timed practice test last night and got a very low score of 150. On the test today, I’m confident in only one of the questions. Mid-first section I missed a question so I had to rebubble everything. I only answered 6 of the logic games and guessed B on the rest. My question is, is it easier to explain a cancelled score, or is it easier to explain a low LSAT score? Thank you for the help. Thanks for the question! In your case, cancel the score. You don’t need to explain a single cancellation to the law schools, and given your descriptions of what happened in LG, the cancel is far preferable to what looks like a low score for you. Thank you very much for this information! I feel that I may benefit from withdrawal, more practice, taking the cost hit, and taking the test in December instead. However, if you withdraw does that count as one of your 3 attempts to take the LSAT over two years? Hi Jenny – good question! A withdrawal does not count as an attempt, but I have even better news: LSAC has dropped that repeat limit as of this upcoming September test! What that means is you’re now free to take the LSAT as many times as you like, with no restrictions on the number of attempts in a given period. So have at it! Of course, you’ll still want to trust your instincts here and shoot for December being your final attempt (no need to prolong this if you don’t have to), so prep hard and prep thoroughly! And let us know if there’s anything we can do to help! Thanks for your help, Jon! That is great news! I have already written the LSAT once. However, I am considering withdrawing my December LSAT and taking the cost hit. I have a few questions about this. Does this withdrawal appear on my score report and will it look bad on my future application? Also when reapplying to law school, do any schools consider the fact that this is another application attempt? I have taken the LSATs in September and indicted on my application that I will be rewriting again this December. However, I am considering withdrawing my upcoming December LSAT as I don’t feel prepared and don’t think I can do much better the second time. Does it look bad/put me at a disadvantage that I stated I was retaking the test in December but end up withdrawing? Will they simply look at my first attempt or reject my application altogether? I’m concerned as I don’t think I can change my application at this point in time. Thanks for any feedback you may have! Thanks for the question! No worries here—you can simply use your first score, and the schools won’t care about you not taking the LSAT again. They don’t know why you have withdrawn, and to make a judgment would be a causal error on their part. So, you can skip the December LSAT and won’t change your applications. I am sorry to hear you don’t think you can do better a second time, though! In almost all cases, it is possible to get better, and often what feels like a black hole when you are on your own becomes much easier to understand when you talk to someone who knows the subject. It’s like learning calculus: doing it by yourself is very tough but if you get a teacher at least you have a chance. To echo Dave here, if you withdraw schools won’t have any idea you were even registered to take the December exam, so absolutely no consequences beyond the financial loss (registration fee) and the slight delay if it turns out that your current, original score still needs to increase for admission. But that would just mean taking a later LSAT, like February, which schools will simply see as you second attempt if/when you go for it! Just be sure to withdraw by midnight the day before the test, otherwise schools will see an absence on your file and know that you were registered but didn’t sit for it. Better to have the withdrawal (and no record) than the absence! Hi Katarina – sorry to hear that you’re considering not taking in December (unless it’s for a good reason, like your initial score being sufficient, of course). But I do have good news: withdrawals are not visible to schools when you apply since they aren’t posted on score reports the way that cancellations and absences are. So schools won’t hold it against you at all if you withdraw. If you’ve let them know you’re registered for December they’ll potentially notice that you didn’t take the test, but there’s no reasonable way for them to make judgments based on that since any number of reasons could have caused the skip and they can’t say with any certainty that the reason is a poor reflection on you. So no penalty there besides the loss of registration fees, as you note. Withdrawals also don’t count as an “attempt” either, since you won’t be sitting for the test. And with LSAC’s recent removal of the repeat limit (three attempts every two years is no longer a thing), it wouldn’t count against you anyway. In short: there’s a financial penalty for withdrawing since you can’t get your money back, and there can be a “delay penalty” of sorts due to having to possibly take a later LSAT, but that’s it! I have two absenses on my record. Both were because a family emergency. Im planning to take it now in June. Would those 2 absenses decrease my chances to get into law school? I’d appreciate if you can tell me what the likelihood of going from a score in the high 130’s to at least a 150 is? Is that an unrealistic goal? Thank you for explaining these differences. I am writing my third LSAT tomorrow. I scored 157 on both of my previous tests and applied with that score last year to Canadian schools and did not make any of it in. (Was on final waitlist from 3 schools) I applied for this cycle again and I am wondering if it will have any negative impact on my application if I score less than 157 tomorrow. Canadian schools operate a bit differently than US schools, but it’s not likely this would have a big impact.